The annual search for The Oustanding Young Men (TOYM) 2016 in the Philippines is on! Officially launched by JCI Philippines last August 5 at the Bayanihan Center, TOYM 2016 is now open for nominations. Who do you think has created a concrete positive change and has made an impact to the community, or at his/her own field/industry? Who deserves to join the biggest names who have been awarded in the previous years of TOYM? 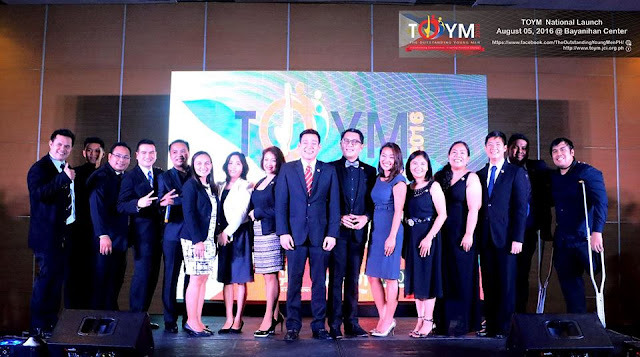 Who will be among the 2016 TOYM Awardees? The time has come to recognize those who exemplify service to community, outstanding leadership and excellence in their respective fields of discipline. Please visit http://toym.jci.org.ph for more information about the search and to download the official TOYM nomination form.